Touristplacesinindia offers complete information on Mahabaleshwar, Mahabaleshwar Tourism, Mahabaleshwar Travel, Hotels in Mahabaleshwar, Mahabaleshwar Tour, Mahabaleshwar Tour Packages, Monuments in Mahabaleshwar, Mahabaleshwar Monuments, Holiday in Mahabaleshwar, Heritage tour to Mahabaleshwar. Nestled in the lush valleys of the Western Ghats, Mahabaleshwar is a perfect getaway for spending some quality time away from the din and rush of the city. It is located in the Statara district of the state of Maharashtra and the British used it as the summer capital of Bombay to escape from the scorching heat of the plains. 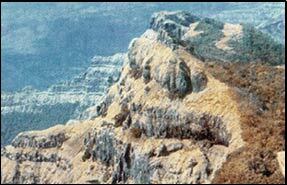 In the present days, Mahabaleshwar is a popular tourist spot and also a pilgrimage site. The Mahabaleshwar temple, from which the place has got its name, is much revered by the Hindu pilgrims who drop in from the far corners of the state.With a pleasant climate and many things to watch, your trip to Mahabaleshwar will certainly be a memorable one. The tourist attractions in Mahabaleshwar are many in number and make sure that you have ample time in hand if you want to explore this spectacular hill station in entirety. On your travel to Mahabaleshwar you will come across several important places such as Mount Malcolm, Catholic Church, Mahabaleshwar Club, Morarji Castle and Pratapgad Fort. There are also several scenic points in Mahabaleshwar that you just cannot afford to miss out and they are Lodwick Point, Elphinstone Point, Wilson Point, Helen�s Point, Badington Point and Carnac Point. Mahabaleshwar is also home to some remarkable temples and you will come across Krishna and Mahabaleshwar temple here. There is also a black stone, which is a little distance from the other temples and holds a venerated place among the locals and the pilgrim tourists frequenting this place. Mahabaleshwar has a fine network of motorable roads and you can enjoy a scenic ride of the most fascinating landscape in and around the place. Besides, an excursion from Mahabaleshwar would take you to Panchgani which is a picturesque spot offering breathtaking natural beauty. Dotted by the casuarinas and silver oak groves, it is an ideal base for indulging in the trekking and hiking activities. The region is also known for many fruit processing units. Strawberry farming is one of the most widespread occupations of the local villagers here. You can step into any of the strawberry farms you pass by while on your drive or trek, and have a look at the farmers picking fresh strawberries from the gardens. For the tourists there excellent lodging options are available in the bungalows and cottages, apart from a large number of luxury and budget hotels. The accommodations are elegantly furnished and you can relax and expect the homely services here. Fountain Hotel, Brightland Holiday Village, Hotel Anarkali, Hotel Dreamland, Hotel Panorama and Strawberry Country Resort are a few of the notable hotels here. Mahabaleshwar is accessible by the air, rail and road transport. The nearest airport and railway station is Pune and Mahabaleshwar can be reached by road transport quite conveniently from Pune. Know more about Mahabaleshwar by clicking on to touristplacesinindia.com, which offers valuable travel information on Mahabaleshwar.